SD7 Control surface (2008) with dual engines, dual PSU, Core2 upgrade, MADI/HMA and Waves upgrade. 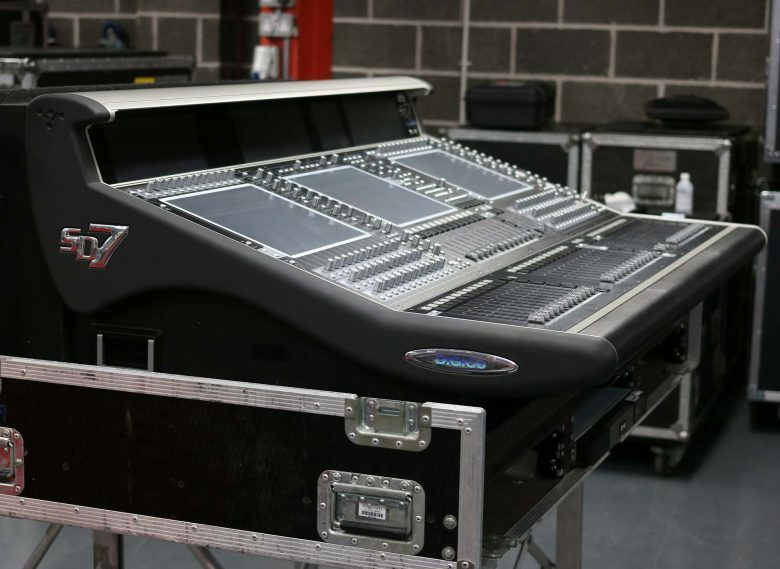 If requested, the SD-Rack can be configured to your specification. Waves servers and HMA optical cable reels also available. If it’s everything that you’re after, the SD7 is the console for you. Our flagship model offers mind-blowing I/O capabilities and sets new standards in high-density digital processing via our proprietary Stealth mixing and routing engine and game-changing, Super FPGA technology. A combination of technologies have been seamlessly integrated into the SD7’s worksurface to meet the everyday needs of any touring engineer. 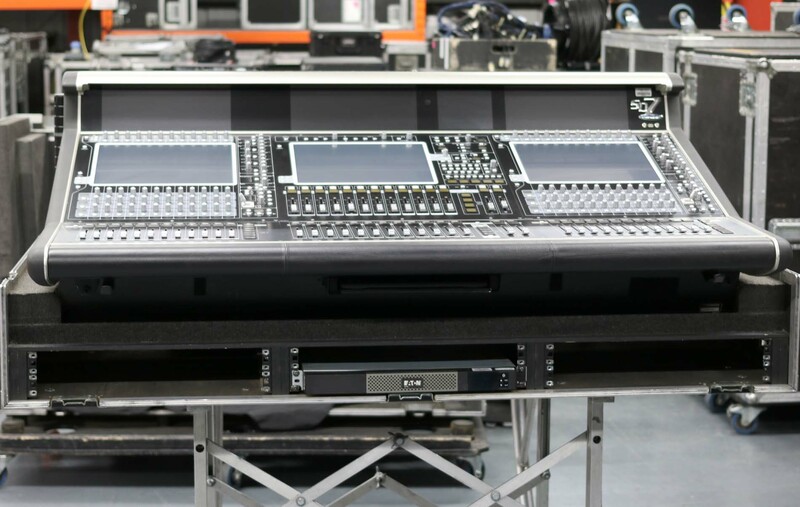 We’ve managed to pack them into three user-friendly interactive 15-inch high-resolution touch screens, each of which accommodates a bank of 12 faders, to provide the user with the perfect platform – everything is just ‘where it should be’. To make navigation even easier, we’ve added high-definition interactive meter bridges and multicoloured knobs and switches; and for further functionality and flexibility, 16 assignable faders (one bank of 12, one bank of four) sit neatly below the master screen in the centre of the console, taking the SD7’s fader tally to a sizeable 52. Standard channel processing, whether inputs or outputs, includes Channel Delay, DiGiTube, Single and Multi Channel Presets, Dual insert points, Hi- and Lo-pass filters @ 24dB/octave, four-band parametric EQ (eight on outputs) with band curve selection and Dynamic EQ on each band, Dual insert points, DiGiCo’s DYN 1 (Compressor, De-esser or Multi Channel Compressor) and DYN 2 (Gate, Compressor or Ducker). 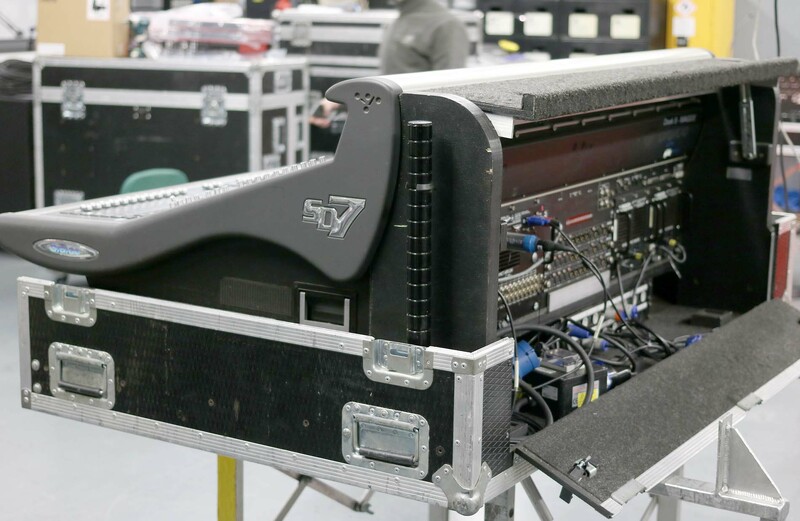 In addition, we’ve included 128 busses, all of which are assignable as mono/stereo groups or auxiliary busses; and in addition to these busses, for further configurability, we’ve provided a 32 x 32 output matrix , dual solo busses, and a Master buss. Essentially, users have the equivalent of 160 busses of DSP at their disposal. The SD7’s local I/O includes 12 analogue inputs, 12 analogue outputs and 12 AES I/O (mono); and when coupled with a second engine, with four redundant MADI ports per engine, and one Optocore loop with the ability for an option for a second to be fitted. In addition, there is an optional DiGiCo SoundGrid module which can be fitted to both engines for full redundancy when linked to two external PC servers such as SoundGrids or DiGiGrids. This provides the user with instant access to 32 fully integrated low-latency Waves stereo Multi Racks, each with the ability to have up to eight plugins per rack. That’s 128 I/O – and as you’d expect from DiGiCo, this is all additional I/O.